Our distinguished speakers will discuss the current politico-economic landscape for healthcare at a critical juncture. New speakers are being added. Please check back for updates. Don Crane, President and CEO of America's Physician Groups, joins Stacey Hrountas, CEO of Sharp Rees-Stealy Medical Group, and Niyum Gandhi, EVP & Chief Population Health Officer of Mount Sinai Health System, for a rountable discussion with the Deputy Secretary about timely topics that are critical to APG members. Dr. Eric Topol is one of the leading innovators in medicine today, specializing in the use of artificial intelligence, “deep” data, and smart technology in the practice of individualized medicine. Also called precision medicine, individualized medicine tailors diagnosis, prevention, and treatment to the full biological and social profile of the individual, rather than the “average” human of traditional medical science. 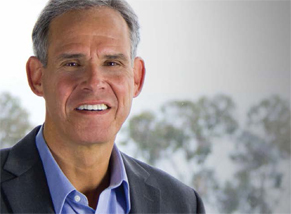 Dr. Eric Topol is the Founder and Director of The Scripps Translational Science Institute. He also is Executive Vice President of The Scripps Research Institute and Professor of Molecular Medicine. Britain’s National Health Service has called on Dr. Topol to lead a review into how the NHS can pioneer new treatments and technologies to transform healthcare. Dr. Topol will look at technologies such as artificial intelligence (including robotics), genomics and digital medicine and how to train tens of thousands of staff at the NHS. 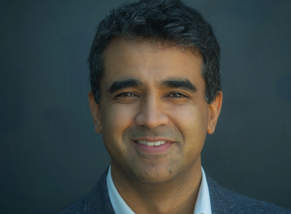 Dr. Rishi Manchanda is President & CEO of HealthBegins, a mission-driven consulting and technology firm that helps healthcare and community partners improve care and the social factors that make people sick in the first place. Client-partners include the American Hospital Association, the CMS Accountable Health Communities model, and health plans and health systems across the country. Dr. Manchanda serves on the board of the Beyond Flexner Alliance, on the California Future Health Workforce Commission, and was a member of the HHS Health Care Payment Learning & Action Network’s Primary Care Payment Model Work Group. Dr. Manchanda’s career is marked by a commitment to improving care and social determinants of health for vulnerable populations. 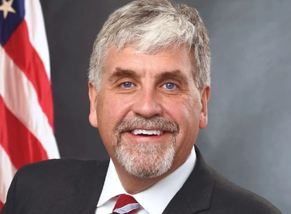 He served as director of social medicine for a network of community health centers in south central Los Angeles, was the lead physician for homeless Veterans at the Greater Los Angeles VA, and was the first chief medical officer for a self-insured employer with a large rural immigrant workforce. In his 2013 TEDbook, The Upstream Doctors, he introduced a new model of healthcare workers - the Upstreamists - who improve care and equity by addressing patients' social needs, like food, financial and housing insecurity. The book has become recommended reading in medical schools and universities across the world.